Mill Hill can be reached by the rail service to Mill Hill Broadway station and then a short journey on the 240 bus. 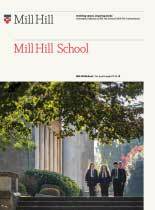 There is an Underground service via the Northern Line to Mill Hill East station and then a bus ride on the 240 up the hill to the School. Bus services 251 & 240 stop at Mill Hill School. The Mill Hill Express is a home-to-school bus service that serves four routes. For further information click here. Take the first exit (Daws Lane) 20 yards south of Mill Hill Circus, immediately before a petrol station. Follow Daws Lane to the end, turn left at Hammers Lane. At the top of the hill, turn right onto The Ridgeway. The School is 200 yards on the right.